Delivered Cheyenne 16/12/43; Gr Island 29/12/43; Presque Is 21/1/44; Assigned 749BS/457BG [A] Glatton 23/1/44; then 750BS [R]; Missing in Action [105m] Rheine 21/3/44 with Craig Creason, Ralph Gray, Rudi Haumann, Tom Madigan, Blair Arsenault, Ralph Ingraham, Garland Frost, Ken Hazeltine (8 Returned to Duty); Bill Wagner (Prisoner of War); flak, crashed Hopsten, near Bremen; Missing Air Crew Report 13895. [also recorded as Missing in Action Politz 7/10/44 with CO Luper on board who became Prisoner of War). RENE III. (named after CO’s wife, Col Jim Luper). 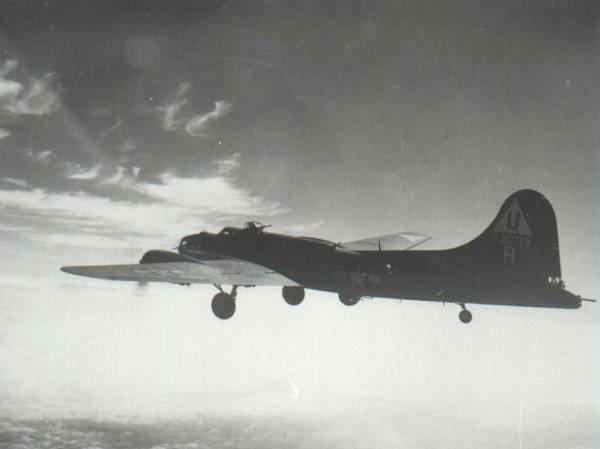 1.000ste B-17, welches von Douglas gebaut wurde.